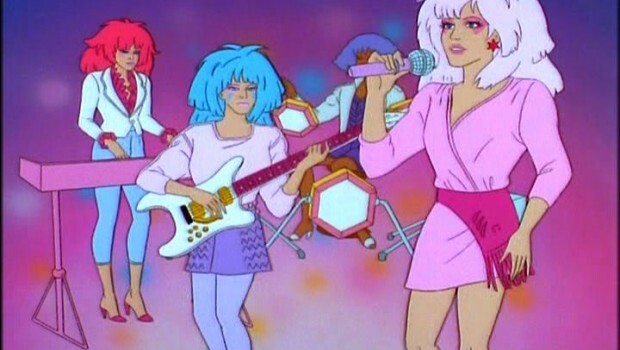 There is a Jem live action movie on it’s way and I thought it was high time that I finally dedicate a They Don’t Make Them Like They Used To article to it’s excellent theme song. 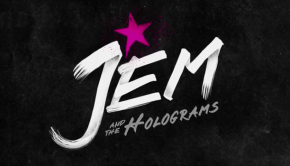 Of course, it makes perfect sense that the theme tune is 43 seconds of the catchiest pop considering that the whole show is about a pop band called Jem & The Holograms. 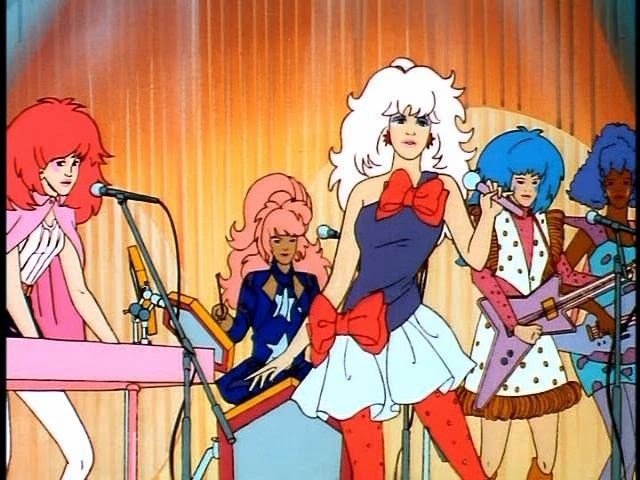 Jem’s real name is Jerrica Benton (nope, that’s not a typo, it’s Jerrica) and she’s the owner of her own record label but when she’s not being a pretty boss role model she’s also wearing a pink wig and some crazy glam make-up as the lead-singer of her chart-topping band. 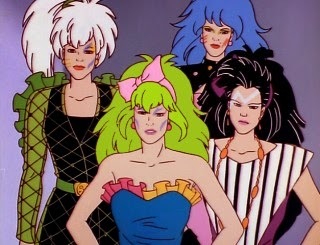 It’s not all good times though, close on her heels is the kinda-punk-looking-but-mostly-pop rivals The Misfits (no relation) who try to upstage Jem and her Holograms but also kinda kill them(?). It’s weird but the line is slightly blurred concerning what their end-game is. They don’t like each other, that’s for sure. As a side note: I think they missed a trick by not spelling it The Missfits. I’m a sucker for puns. Of course things are a lot more complicated than my description of the show. 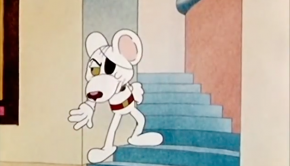 It was a cartoon from the late 80s, they’re all mad as hell. 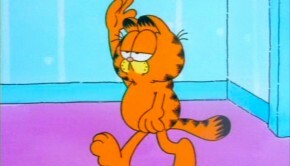 It ran for 3 seasons which is better than some of the other cartoons we’ve covered here so it had plenty of time to really get weird in those 65 episodes. 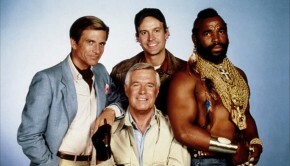 There was orphans and futuristic technology and kidnappings… Katy Perry doesn’t have to deal with that!